In today’s episode, we look at a case study where a brand spent $15k in Amazon Sponsored Products ads over a 2-month period. Their data was very interesting, and told two very different stories within the same data set. This case study illustrates several important tips for brands running Sponsored Products ads. First, what are Sponsored Products ads? Sponsored Products ads are pay-per-click ads…they are like Amazon’s version of Google AdWords. When you run Sponsored Products ads, you pick one or more of your products, and then Amazon shows them to customers who do particular searches…either searches that you choose or that you allow Amazon to choose. You bid the highest amount you’re willing to pay per customer who clicks on your product, and then Amazon charges you each time a customer who sees your ad clicks on it. Sponsored Products ads appear several different places, including at the top of Amazon search results pages (above the organic search results), at the bottom of Amazon search results pages, and on individual product detail pages in the ‘Sponsored products related to this item’ section. Broad Match: Target customers who search all kinds of things related to “toaster oven”, including “oven for toasting”, “electric toaster oven”, “alarm clock toaster”, “toaster oven tray”, etc. One of the most important reports you should be looking at related to your Sponsored Products ad (SPA) campaigns is the keyword report. If you’re a Seller Central seller, you can find it inside Seller Central by going to Reports > Advertising Reports. Once on the Advertising Reports page, click ‘Search Terms Report’ on the horizontal menu towards the top of the page. In today’s case study, our client spent a little over $15,000 in a 60-day period on Sponsored Products ads. These ads led to $85k in sales, costing a little over $18 per sale generated. But when we looked deeper into the data, we found two different very important, very contrasting stories in the reports. $2k of the brand’s ad spend made $61k in sales, costing about $3.25/sale, and $13k of ad spend made $24k in sales, costing about $60 per sale. Our client was running a lot of broad match campaigns, a little bit of phrase match, and a little bit of exact match. The client had 4 different keywords that especially relate to their products. Any search that included either the client’s brand or products by name, or one of the client’s 4 main keywords, performed very well. One of the main keywords especially had a lot of opportunity for more growth. Most of the broader searches that did not target one of the main keywords were performing poorly. Tip 1: Always monitor your campaigns and continually optimize them. Look for low-performing keywords you can add as negative keywords so your ads won’t be shown on them. Our client had several examples of keywords that were either too broad or simply the wrong keyword on which they had spent hundreds of dollars and made no sales. Tip 2: Bid on your own brand name. Amazon will show competitors’ ads to people who search your brand name. Bidding on your own brand name is a defensive tactic that helps ensure you capture sales from customers who were looking for you on Amazon. Our client made $33k in sales defensively bidding on their own brand and product names, and these sales only cost about $1.60 each. Tip 3: Use Sponsored Products ads to determine the viability of new keyword niches. Our client was wondering if a new keyword niche was a good one to focus on. The data showed that particular keyword niche gets tons of searches, and our client was converting searches in that niche for $2-$3 per sale. This confirmed the niche is a great one to focus on. Tip 4: Bid lower amounts on keywords that are too expensive and competitive, as long as they’re relevant to your products, rather than turning them off. You’ll still get a few impressions here and there and can make some sales on them. Tip 5: Focus your spending on the keywords that give the best results. ROI usually changes as online marketing campaigns scale, but nonetheless, if our client can focus a lot more of their spend on the keywords that cost $3.25 per sale, and a lot less on the keywords that cost $60.00 per sale, their results could significantly improve moving forward. 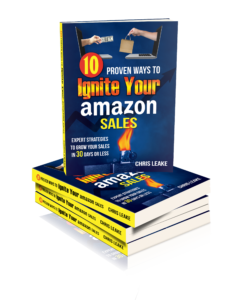 To get our cheat sheet, 5 Awesome Free Tools Every Amazon Seller Should Know About, click here and enter your email address! Need Help with Amazon Sponsored Products? Are you confused by Amazon Sponsored Products? Overwhelmed? Tired of wasting money on them? Can’t find time to work on them? We can help you spend less and make more! It only takes 5 minutes to apply to become a client.